HomeDressingsPassion Fruit Wasabi Dressing - Award Winner! 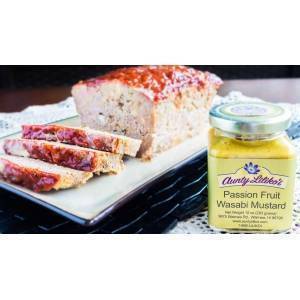 An award winner in 2004, 2007, 2009, and 2010 at the Napa Valley World-Wide Mustard Competition, and at the National Mustard Museum's World-Wide Mustard Competition from 2011 to 2014, our Passion Fruit Wasabi Dressing encompasses a touch of wasabi, and is one of our best-selling products. Drizzle it over a tossed green salad, use it to whip up some Lilikoi Coleslaw, or marinate chicken or your favorite cut of fish.